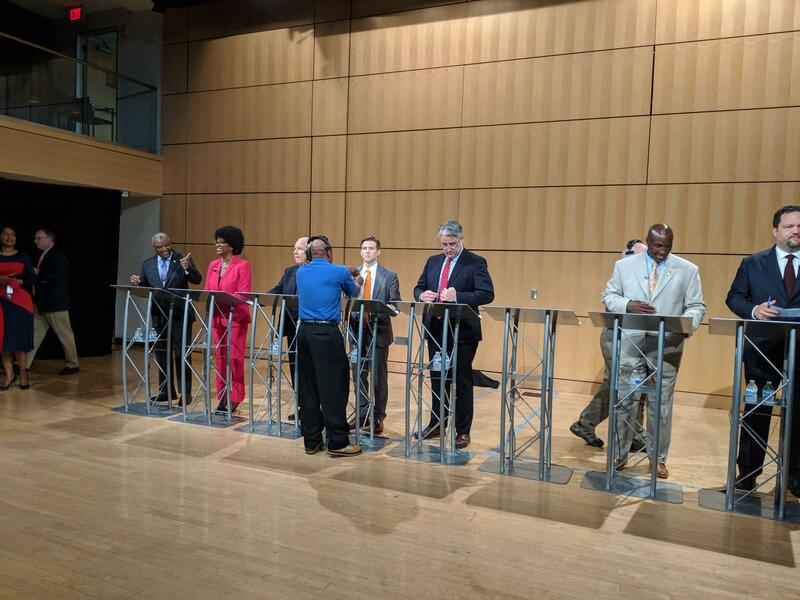 Democratic gubernatorial candidates prepare for their first televised debate Monday. They were limited to 90-second opening statements and 45-second answers to each question. Afterward, they acknowledged that it was hardly enough time for a substantive policy debate. 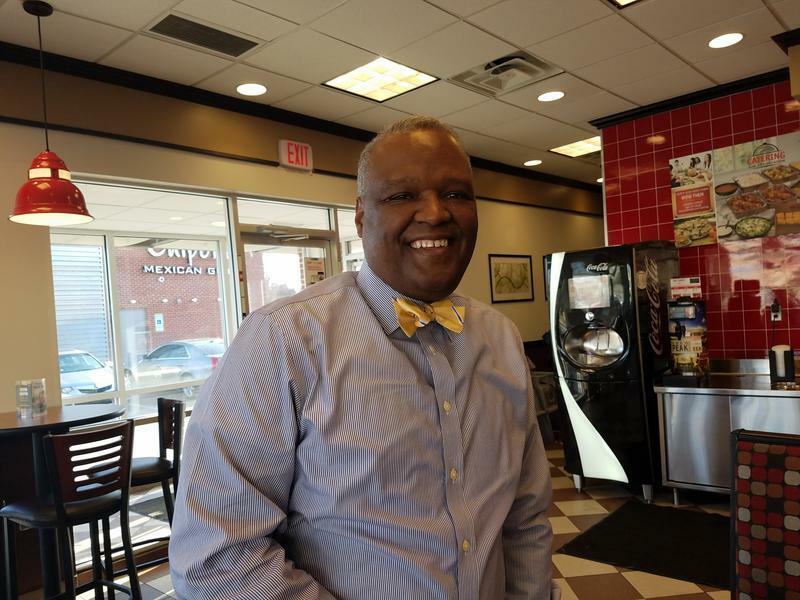 “Everyone’s saying the same thing, so it’s very hard for voters to determine who and why they should support an individual,” said former Montgomery County Councilmember Valerie Ervin. Ervin joined the race as a gubernatorial candidate just last week, after her running mate, Baltimore County Executive Kevin Kamenetz, died suddenly. This was her first real chance to introduce herself to voters as the top of the ticket, and she said she had hoped it would be more of a “real debate,” with time to rebut her opponents. The candidates were asked about education, transit, the economy, policing and gerrymandering. On the surface, each seemed to have similar positions on the issues. For example, WBAL’s Jayne Miller asked whether the candidates would replace the canceled Red Line light rail project in Baltimore with something comparable. Baltimore attorney Jim Shea said that, yes, Maryland needs the Red Line, but the federal funding the project was expecting is no longer available under the Trump Administration. “In addition to pursuing that, we need alternatives — bus rapid transit, extending the Metro,” he said. Entrepreneur Alec Ross echoed those calls. “As governor, I will make bold efforts to take our absolutely pathetic, horrendous, God-awful public transportation system in this region, and bring it into the 21st century,” he said. The candidates almost unanimously backed increasing school funding. On gerrymandering, Shea, Baker and former NAACP leader Ben Jealous called for a fair and bipartisan process but said Maryland should not change its system before other states do. In response to a question about preventing violence in Baltimore City, Baker and state Sen. Richard Madaleno both called for greater state involvement in the effort. To be sure, many of the candidates’ policies start to differ at a more detailed level, but the debate did not provide enough time to examine issues that closely. So the candidates used their backgrounds to differentiate themselves. Madaleno said afterward that he tried to show how he is informed by 15 years in the General Assembly. During the debate, answers frequently began with a candidate’s background. When asked about education, Baker highlighted his time running “the second-largest jurisdiction in the state and the second-largest school system.” Ervin cited her time on the Montgomery County Board of Education and the County Council. Ross mentioned that he once taught the sixth grade at a school in West Baltimore. Monday’s debate was the first of five scheduled before the June 26 primary.